When my wife, Marcia, and I first talked about having children, we knew that we would need to teach them many things. What I didn’t expect was the many things they would be teaching me. God has blessed Marcia and I with some wonderful children and we are always learning from them. The other day, as I was at the dining room table preparing to head out the door, I saw a purple shape fly down the stairs past me and hit the floor and wall with a loud WHUMP! sound. I was really startled because my first thought was that one of the kids had fallen down the stairs, and if you have ever seen our stairs, you would know that they are extremely steep and treacherous. With my heart in my throat, I looked up to see what happened, and was relieved to find that it was just a bean bag chair that had come down the stairs and landed on the floor. My relief was short lived, however. As soon as I turned back around to finish what I was doing, I saw another shape fly past in a blur and land with an even louder WHUMP! at the foot of the stairs. This time it was a child, only they hadn’t fallen down the stairs. Our 5-year old daughter, Melanie had jumped down the stairs into the bean bag. She threw the bean bag down first for the sole purpose of jumping into it. Thankfully, she was completely uninjured, had already jumped up (giggling happily) and was preparing for another leap. After recovering from my initial shock, I informed her that what she did was dangerous and she was never to do it again (I also tried to disguise the fact that I found it quite amusing). Later that day, as I was thinking about Melanie’s little adventure, I realized that what she had done was quite a demonstration of faith. Misplaced faith, perhaps, but faith just the same. She had no fear about diving headlong down a flight of stairs because she had the utmost confidence that the beanbag chair was going to protect her from harm. She hadn’t even considered the possibility that the beanbag might fail her. 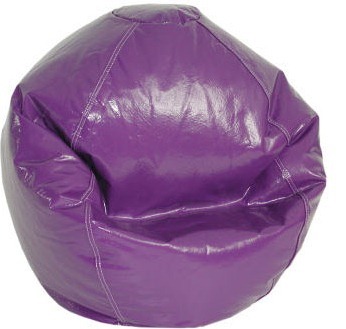 Oh, the things we could accomplish if we had that kind of faith in our almighty God who, unlike that purple beanbag, is sure to never fail. What might we accomplish if we always lived and acted with that certainty? Our faith isn’t naive, nor is it blind. Our faith is not misplaced when we trust in God. We can trust in Him and have full confidence in His power, mercy, and love because of that which He has already done for us. He loved us enough to sacrifice His one and only Son. A sacrifice that the Son made willingly out of obedience to the Father so that we, His enemy, might be clothed in His righteousness and enjoy a relationship with Him. to sprout up before all the nations.